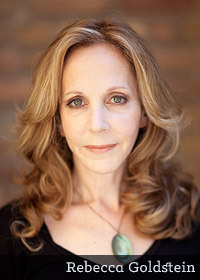 Lectures: Rebecca Goldstein Jun. 8 (JUST ADDED!) & Gregory Clark Mar. 16. 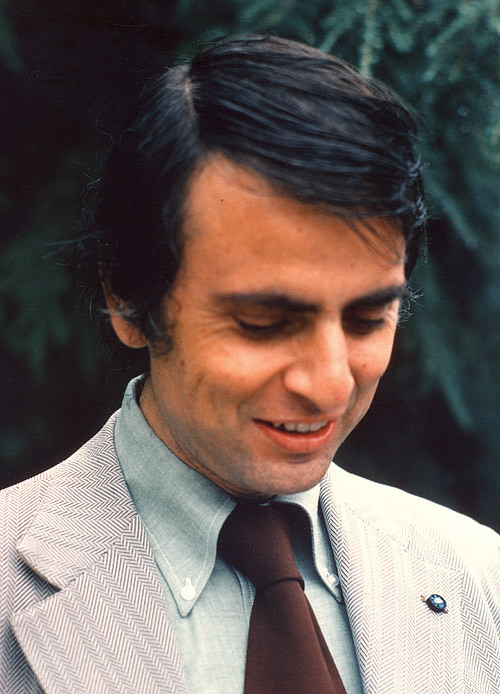 To celebrate 50 issues of Junior Skeptic, we turn to the story of one of skepticism’s most inspiring people: astronomer Carl Sagan. His many television appearances and bestselling books gave him worldwide fame that has not been equaled by any scientist since. 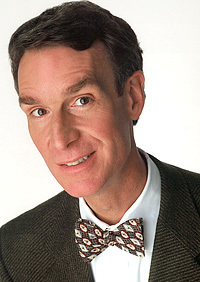 Bill Nye “the Science Guy” remembered him as “a scholar and a visionary. He changed the world. 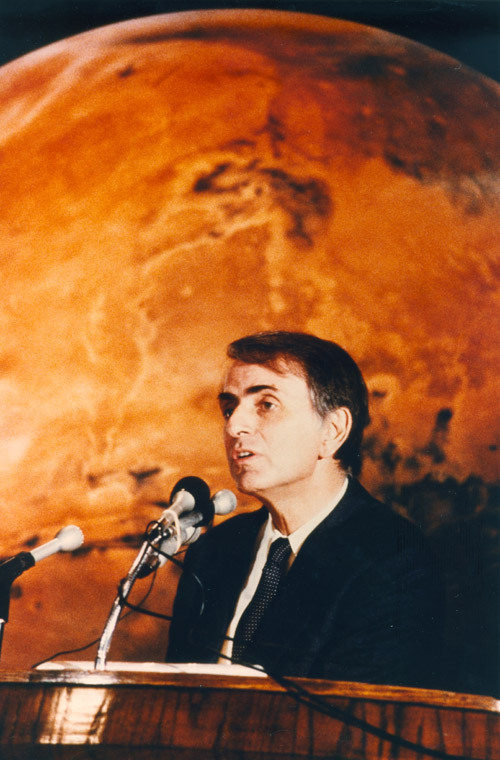 His work still does.” Sagan taught millions of people about the power and beauty of science. His documentary television series Cosmos was seen by half a billion people across the globe. He published over 500 scientific papers, helped plan pioneering NASA space probe missions to other planets in our solar system, solved the riddle of the greenhouse effect on Venus, explored the origins of life on our planet, and sent humanity’s first deliberate messages to the stars. But skeptics remember another major thread of Carl Sagan’s career—a thread neglected by his biographers, but woven throughout his life’s work. Sagan spent decades pursuing the truth about paranormal claims. 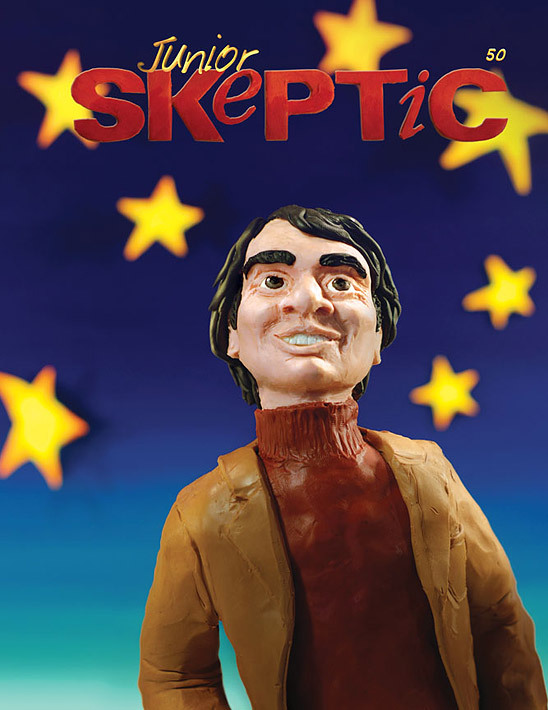 Find out about Sagan’s foundational role in scientific skepticism in this issue of Junior Skeptic. COSMOS: A Spacetime Odyssey. Copyright 2014 FOX Broadcasting/Patrick Eccelsine. Cosmos: A Spacetime Odyssey will premiere Sunday, March 9, 2014 (9/10pm ET/PT) on FOX. 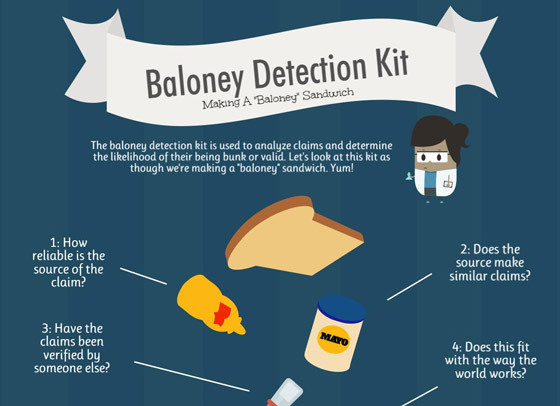 Share this article with friends online. 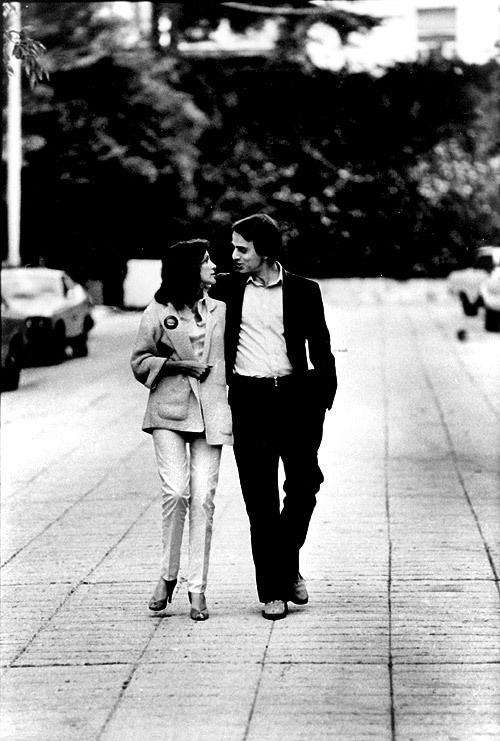 For nearly twenty years Ann Druyan was Carl Sagan’s collaborator, co-author, companion, and wife. Together they worked on numerous projects, including: NASA’s Voyager Interstellar Message of humanity that is hurtling out of the solar system carrying a time-capsule of human culture; the highly acclaimed 13-hour documentary series Cosmos now seen by over a billion people worldwide; the bestselling companion volume to the documentary, also entitled Cosmos; the book Comet that traced the history, culture, and science behind those enigmatic wanderers of our solar system; the book Shadows of Forgotten Ancestors, a precursor that anticipated many of the discoveries and theories developed by evolutionary psychologists a decade later, founded on the presumption that we are a social primate species whose evolutionary roots shape our modern behavior; in addition, she wrote an introduction to The Cosmic Connection and the epilogue to Billions and Billions, both by Sagan; and most notably they worked together on the film version of Contact, a major motion picture starring Jodi Foster that tied together numerous threads of Sagan’s ideas into one coherent visual narrative. 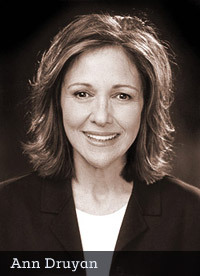 Today she is the CEO and a co-founder of Cosmos Studios, which in 2000 produced an updated edition of the documentary series Cosmos. Druyan recently orchestrated the production and launching of the Cosmos 1 spacecraft, intended to demonstrate solar sail propulsion. 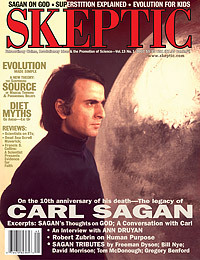 SKEPTIC: The impetus for this special issue of Skeptic magazine about Carl Sagan is twofold: first, to examine his legacy on the tenth anniversary of Carl’s death in December of 1996, and then of course the book that you just edited on The Varieties of Scientific Experience: A Personal View of the Search for God, based on Carl’s lectures on science and religion. To begin, what made you decide to bring out this book now? DRUYAN: I find that in the tremendous volume of email that I receive from around the planet about Carl, the most frequently asked question is, “What did Dr. Sagan think about god?” This reminded me of the Gifford lectures, which were his definitive statement on the subject, given in 1985 at the University of Glasgow. The Gifford lectures have such an illustrious history, having been given by some of the greatest scientists and philosophers and theologians since it was endowed in 1885. So when Carl was invited to give these lectures on religion and science—what Lord Gifford called “natural theology”—we gave it a lot of thought. We worked on it together for over a year. Carl knew that it would be kind of a lasting testament of his ideas on this subject. Recently when the creationism hydra reared its head again in the form of Intelligent Design, I remembered that Carl had talked about this idea and showed why it is so deeply flawed. He said “Oh, every five or ten years someone rediscovers this idea and then we have to go and shoot it down all over again.” So I thought it would be really good to have it out there. Then finally, since there is a resurgence of fundamentalist extremism I wanted to have Carl’s voice in the debate because I think he brings an unusual degree of clarity to it. SKEPTIC: You mentioned the inquiries from all over the world, but do you get the sense that the desire to know what scientists think about the god question is more of an American phenomenon? DRUYAN: I think that the United States is having a kind of religious revival, and our religiosity is different from that in Europe. My knowledge of the rest of the world is quite limited, but from the letters I receive it seems that a lot of people are thinking about the god question, and thinking about it in different ways. SKEPTIC: Why do you suppose that Americans are so much more religious than Europeans? I think Carl’s greatest legacy is the fact that he was able to communicate a way of looking at the world that was equal parts of skepticism and wonder. DRUYAN: I think there is a constellation of beliefs that go into a traditional religious view of the world. I think that it is no accident that the more reactionary the government happens to be, the more conventionally pious it will strive to appear. And I think that the constellation of beliefs has to do with authoritarianism and the longing for a parent who will tell us what to do; the absence of critical thinking, obviously, the absence of independent thought, and the absence to a certain degree of skepticism both about received wisdom from ancient texts as well as received information from whoever happens to be in power. What makes me most proud to be an American is the Bill of Rights, most notably the First Amendment and the idea that church and state must be kept separate for everyone’s sake. SKEPTIC: Of course that wall can come under assault under Democratic as well as Republican administrations. DRUYAN: I have to say although I would much prefer a Democratic administration to any Republican administration—with the exception of maybe Lincoln—I would have to say that a lot of this infusion of religiosity into public life began in the previous administration under President Clinton, and that the invoking of god’s intentions in prayers predates the Bush administration. SKEPTIC: I want to get down to where the rubber meets the road in the ontological question of god’s existence. What did Carl call himself— atheist, agnostic, non-theist…? DRUYAN: Carl really was an agnostic, truly. He felt that people who say that they know how the universe came to be, who made it or didn’t make it, are kind of foolish in a way, whether they are believers or atheists. Carl believed that in a universe that is so vast, and for a species as young and ignorant as we are, the only reasonable position to take on these ultimate questions is agnosticism. SKEPTIC:What most people mean by “atheist” is “belief that there is no God,” whereas agnostic means that we just don’t know? 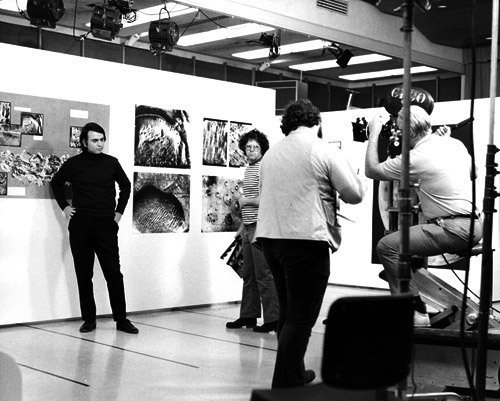 Hollywood during the filming of Cosmos. DRUYAN: Literally yes, we do not know. Not that we can’t know, but at the moment in the present state we know so little about the universe. We’ve only been at this exploration of the universe in any sort of systematic way for what, four centuries? That’s such a tiny fraction of history. Carl would say “we just don’t know,” and the more we acknowledge how much we don’t know, the less chance we have of assuming things that turn out not to be true. DRUYAN: I am a complete agnostic. I feel that I know absolutely nothing about god. I think I know something about awe and reverence, and I think I have a sense of piety, which is perfectly consonant with the values and methods of science. Personally, I don’t prefer Darwin’s theory simply because it is a better reflection of natural reality, although it is; I like it because it is spiritually so much more satisfying than any other explanation of how life came to be. DRUYAN: In the idea of the oneness of life, that we are part of a cosmic continuity that stretches back 13 and a half billion years—and on this planet four and a half billion years—and that through natural selection and the chance of random mutation that we are able to become conscious and to recognize our relatedness to all other life on earth. To me, this is way more spiritually satisfying than the notion of a god who creates us separately and gives us the kind of middle management role over nature as in the Genesis version. SKEPTIC: In this sense science is a great narrative story, a mythic tale. But there are critics who respond, “Well that’s scientism. You are going beyond the data, beyond the scientific theories and you are constructing a metaphysics around it, almost a theology around science.” Is that a legitimate criticism? DRUYAN: There was a time when religion and science were virtually the same. Before Copernicus, when religion made pronouncements about natural reality, people didn’t go around saying “Oh that’s just religionism.” They said that religion was the description of the sum total of human existence, and that if you wanted to know where the planets would be or why there were so many different kinds of beetles and things like that, you just had to look into the sacred texts to find those answers. So those people only stopped objecting to science’s pronouncements about the ineffable and the sacred when science left religious pronouncements about nature far behind. Then there arose a treaty between science and religion, in which religion said “okay, we will stop burning people at the stake” (as they did Giordano Bruno for his statements about nature that did not jibe with religious doctrines), “if you promise not to say anything about the sacred and about why we have that soaring feelings about being alive in the cosmos— leave that to us.” To me, the idea of scientism is a total misperception, because science is a form of spiritual discipline. It’s the only thing that could shake us from believing in our childlike self-delusion that we are the center of the universe. It was science that weaned us from that almost infantile need to be central, which is in my opinion a form of spiritual narcissism, and by doing this we entered a new epoch of spiritual understanding that wasn’t possible before science. DRUYAN: Well, of course I do not believe in the version of god that is an oversized white male who sits in the sky and tallies the fall of every sparrow. I see absolutely no evidence for that god. Moreover, I see more than enough evidence to explain our belief in such a god in terms of the therapeutic and social needs that it fulfills, to understand it clearly as a projection. I am completely fine with saying, “I do not believe that particular god exists.” It’s just that to say “there is no god” is to say more than that. SKEPTIC: Do you mean in terms of the origins of matter—why there is something rather than nothing— and those kinds of ultimate questions? DRUYAN: Correct, I don’t think we know those answers. Today we have string theory, twenty years from now it will be something else, just like it was something else 30 years ago. We have to acknowledge that there is so much that we still do not know. 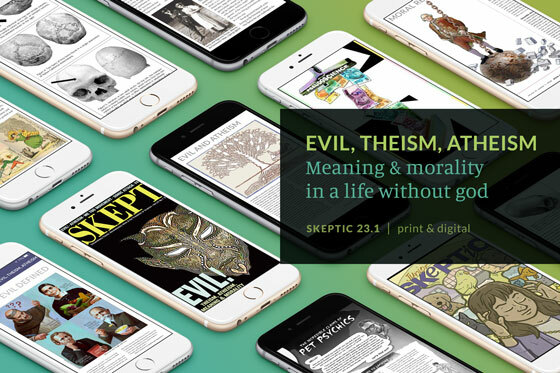 SKEPTIC: It seemed like Carl—and you as his collaborator—make a point of being extra polite and thoughtful with those who are religious. Is this conciliatory approach just a political strategy, just making nice so that we can all get along? … from the distance of Neptune the earth is a one-pixel world. That perspective gives the lie to every ideology that justifies murder and mayhem. To see that dot is to realize we are a bunch of fruit flies bickering over a grape. SKEPTIC: But is it also, in a more positive way, an approach that keeps in mind other, larger goals— such as saving the environment or preventing global nuclear war—and we need everybody, religious and nonreligious, to achieve those higher goals? DRUYAN: Yes, of course, we need everybody to work together on these bigger issues, and we will get further if we are mutually respectful. 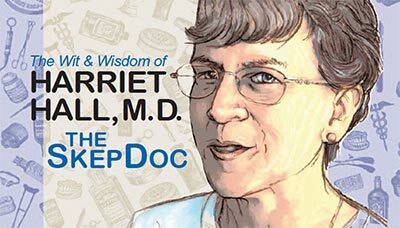 SKEPTIC: It has been ten years since Carl’s death, and although one never really gets over these deep losses, perhaps you are past the initial stages of grieving such that you can take a reflective view on Carl’s impact. What are the two or three most important legacies of Carl? DRUYAN: As a scientist, it was his fearlessness in pursuing questions that interested him the most, and not being afraid to try to answer them. When he was a young scientist, for example, it was somewhat disreputable to be interested in the search for extraterrestrial life and intelligence, which of course has changed radically, largely because of Carl’s courage to address the topic scientifically. I think his work on understanding planetary atmospheres in terms of insight into what is happening to our own atmosphere is critical in many ways. I think Carl was one of the half dozen scientists who had the biggest influence in making us more aware of what we are doing to our climate and to our environment. Most of all I think Carl is truly a figure of democracy: he was the child of working class parents, and this led him to believe that science should belong to everyone. Science is not just a collection of interesting facts, but a way of looking at everything. I think Carl’s greatest legacy is the fact that he was able to communicate a way of looking at the world that was equal parts of skepticism and wonder. Carl delineated how these two ultra-potent human capabilities work: the ability to be skeptical and at the same time to have a soaring sense of wonder about the universe. This is Carl’s ultimate legacy: a way of speaking clearly, without jargon and without mystification, about the wonder of life in the cosmos. Click photo to enlarge. Carl Sagan on set filming a documentary about Mars for NASA. © 1980 Druyan-Sagan Associates, Inc. 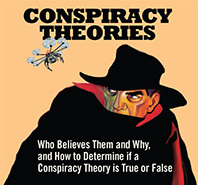 SKEPTIC: Shortly following Carl’s death there were two biographies published. Do you wish that they had allowed a little more time to pass in order to put things in perspective? DRUYAN: I feel that they really did Carl a disservice. They uncritically passed on some of the resentments and false witness of others, couching them in terms that “This is what happened.” I don’t think they really captured who Carl was. Although there was one line in one of the books that I really liked, which was that of all the people that the author interviewed, he could not find a single person who didn’t love Carl. Even the people who didn’t understand him, or who resented him, or who were jealous of him; they all loved him. 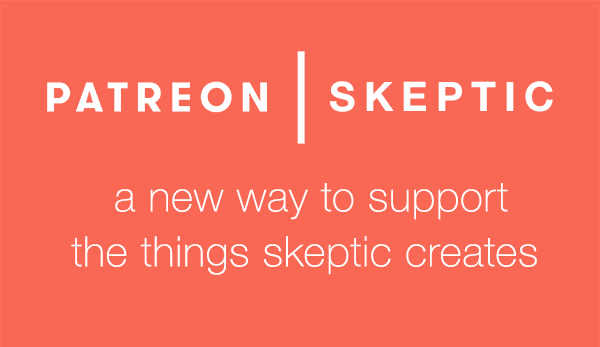 SKEPTIC: Do you mean in an inspirational way, or as a person? DRUYAN: Both. Carl was authentic, he was generous, he had a fantastic sense of humor, he was modest, and he was courageous, especially the way he dealt with the illness that killed him, along with the three bone marrow transplants that he had to endure before he succumbed to it. He was a heroic figure who had the courage to live completely and express his convictions. To me he was the exemplar of citizen and his identification horizon was as large as the cosmos itself. To know him deeply was to know that he was completely real and incapable of pretending or feigning anything. SKEPTIC: Do you miss him? DRUYAN: I miss him every single minute. My daughter characterizes this as a kind of family party line, but it is true nevertheless: I feel so lucky to have known Carl, and to have spent nearly 20 years with him. SKEPTIC: How have your children dealt with the loss of their father over the past decade? DRUYAN: They are very much like their father—they are also very heroic. My daughter Sasha is one of the happiest people I know. She is a successful 23-year old writer-producer for a cable network. She hosted, directed, wrote and produced a documentary called Liberty, about her trip to Liberty, Kentucky—a politically right wing traditionally religious community— to find out why the people there believe things that are so completely different from her beliefs. It’s a terrific film done with respect and not a trace of disdain. My son Sam is 15 years old, a sophomore, writing for the high school paper; he looks a lot like Carl, and he is a lot like Carl, and yet they both have their own completely original personalities. So my kids are doing great, thank you. SKEPTIC: Do you ever hear from Carl’s kids from his previous marriages, or from Lynn or Linda? DRUYAN: Linda Salzman, Carl’s second wife, is one of my closest friends; she lives here in Ithaca, and we are in constant communication. I adore her son, Nick Sagan, a successful screenwriter and novelist. Nick is one of the people dearest to me, as is his wife Clinnette. We all live in Ithaca, NY, and we are together every week, and it is not too idealizing to say that we couldn’t be closer. I have much less contact with Jeremy and none with Dorion, but I am in touch with their mother Lynn Margulis from time to time. SKEPTIC: Considering how nasty some divorces can be, how has it worked out so well for you all? DRUYAN: It is largely, or completely, a testament to the grace of Linda Salzman. On the night of Carl’s death she called me, and we have been very close every since. SKEPTIC: During that final stretch, did Carl know he probably was not going to make it? DRUYAN: Yes, just two to three days before he died in the hospital in Seattle, he told me that he was dying, and I very much regret that I found it so hard to deal with that I tried to convince him he wasn’t dying. Part of me really thought that he wouldn’t because he had been through so many life-threatening experiences already, that I really thought that he somehow was going to manage to survive this one as well. But he looked at me with this wonderful, amazing look on his face, and said, “We’ll, we will see who is right about this one.” Carl was so brave. One of his doctors told me that he had never had a patient who was able to even finish reading a book during one bone marrow transplant, and Carl wrote two books during those three bone marrow transplants. SKEPTIC: Where did that strength and determination come from? DRUYAN: Carl was off the scale in terms of his courage and strength. That always amazed me. About the same time that he told me he was going to die, he drafted a statement about the United States’ future in space. He was suppose to be the keynote speaker at a White House conference on the future in space, but when it became clear that he was dying and that he would not be able to be at the conference, he dictated his statement for the conference, which was read as the keynote address by Vice President Al Gore. So that is what Carl did with his very last energy. And it was such a stirring statement—I remember weeping while I was reading it. SKEPTIC: Carl’s long-term vision for humans in space was, ultimately, colonization of the galaxy? 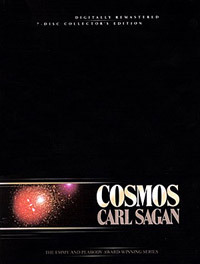 DRUYAN: Ultimately, yes, Carl dreamed that we would come to know the rest of the cosmos. He was, however, not a major proponent of human space flight because he believed that for the science, robotic spacecraft were preferable, and of course did not require the jeopardizing of human life. But he also recognized that as a species we need humans to be there to become emotionally involved and invested in exploration. So he was realistic about that, and understood that this probably had to be part of the bargain. Also, he had some reservations about us being colonizers, because he was painfully aware of human frailty and the tragic history of colonization on this planet. But he did dream that eventually we would come to travel into the cosmos, and we would build on the remarkable first 40 years of the space age of which he was so much a part. 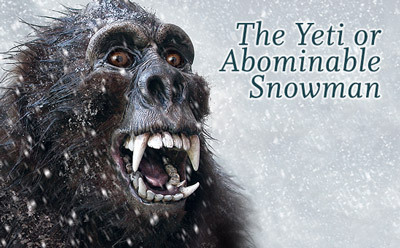 SKEPTIC: Given the exceptionally tribalistic politics of the last decade, in light of the book you and Carl co-authored, Shadows of Forgotten Ancestors, which predated all of the evolutionary psychology work of the late 90s, how has that collaborative worked fared? DRUYAN: That book was Carl’s favorite of all the books we wrote individually and together. I think it’s held up quite well and, as you say, has been a major influence. 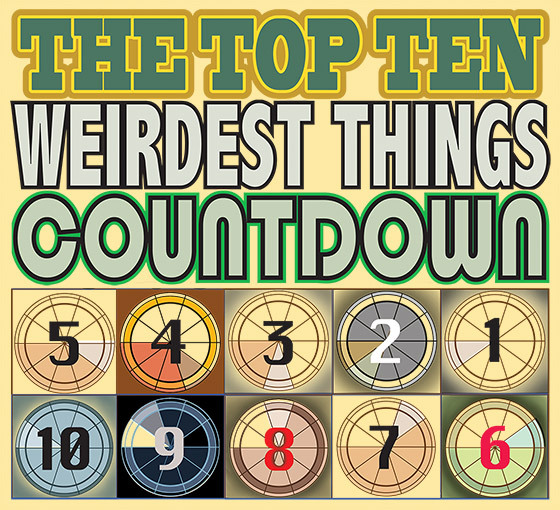 The last six years have been one of those moments of history dominated by fearbased religion and politics. It is my hope that this is one of those short perturbations, and that we are about to shift gears and change course. SKEPTIC: If you and Carl are correct about how tribalistic we are—how it is in our nature to be so xenophobic and tribal—then isn’t the ultimate political solution to see everyone as a member of the in-group and nobody as a member of an out-group? DRUYAN: Yes, that’s it. And that’s where the “Pale Blue Dot” comes in. That may be an even greater contribution of Carl’s—to turn those Voyager cameras back at our planet, and find not the Apollo frame-filling earth, which was also a tremendous watershed moment in our self-awareness, but instead to find that from the distance of Neptune the earth is a one-pixel world. That perspective gives the lie to every ideology that justifies murder and mayhem. To see that dot is to realize we are a bunch of fruit flies bickering over a grape. This is why science is spiritually so important— if you have that perspective of the world— the idea that everything in the universe was not created for the benefit of one tiny group on one tiny Pale Blue Dot—then you can’t bring yourself to be a suicide bomber or a terrorist, or to make war against poor people and the defenseless. SKEPTIC: Assuming that “this too shall pass,” and new administrations will come and go, in the long run, how do we get from here to there: where everybody sees the Pale Blue Dot and realizes we are one tribe? DRUYAN: To begin, we need to stop lying to our children and start speaking honestly about the things we don’t know, and the things that remain a mystery to us. I think we need to be honest with our children that we die, that life is finite not infinite, and that this is it and it is really precious. If we did that maybe people would treat life as being something prized instead of as something that can be taken without concern. Also, we need a new curriculum for science and it should be like this: when children first come to school, in preschool or kindergarten, I think the teachers should take them aside and welcome them to join the generations of searchers, to induct them into the great wonders and mysteries of science as a way of seeing everything. Not 20 or 40 minutes of boredom a few times a week, but as a way of seeing everything. They should teach critical thinking to the smallest children as a type of keys to the kingdom. We should teach the story of the history of science— of the courageous men and women who have given us this precious knowledge—in a way that gives full expression to the romance and valor and imagination that was involved. And I think if we were to do that, I think it would be possible that we would not be a schizophrenic society: completely dependent on science and high technology, yet completely fearful and mistrusting of it. SKEPTIC: On your first point about lying to our children, are you talking about religion? DRUYAN: No, I am talking about everything. Children want to know about death, and I think we lie about death, and I think that is a very damaging thing in the long run. It dooms them to a perpetual infantilism. I think our present attitude is an expression of a lack of confidence in our children: that this reality is too unbearable for them to be able to deal with. Actually, I think it is all the more unbearable because we lie so much about it. If we were truthful about it, then not only might it be less unbearable, but also it might be possible to live more fully than I think we are able to do with this burden of dishonesty. 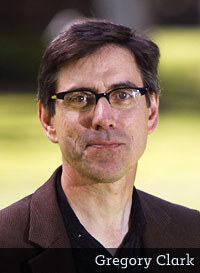 SKEPTIC: Isn’t that a secular humanist perspective? DRUYAN: I think it is the perspective of someone who believes we should give our kids a chance to have a sense of reality, and then see what happens. Because I think this lying has a kind of magnifier effect in that it undermines the bond of the child-parent relationship, and it requires us to say that no one could be President of the United States unless they are willing to subscribe to this agreed-upon fiction. That’s not good for a society that needs to be reality-based. All of our ancestors, going back to our huntergatherer ancestors, although they may have had all kinds of mythologies to explain the things they couldn’t understand, there were things that they did understand and were firmly realitybased. That was necessary for them because their survival depended upon it, and I think our survival depends on it today. DRUYAN: Yes, I think that’s one of the big differences between science and religion—science is expressing and affirming a confidence in reality and a respect for reality. Whereas religion often says, “No, we once had a perception of reality a long time ago and that’s the one we are sticking with no matter what other evidence comes in.” I think that’s part of the problem. SKEPTIC: In general you sound—as Carl usually did to me—optimistic about the future. It sometimes seems if you watch the daily news that there is not a lot of cause for celebration these days. But if we take the long view, say from the Enlightenment on, it seems that things have gotten better: more rights and more freedom for more people in more places. Are you optimistic that the trend will continue? DRUYAN: I am optimistic for several reasons. One is that the Internet is a remarkable way of completing the process of our planet becoming an interconnecting, intercommunicating organism. I remember that the Russian poet Yevtushenko once said to me, “There really are enough good people in the world, it’s just that we don’t have each other’s phone numbers.” When the Internet came along I thought to myself, “Well, that’s a solution to the problem he was talking about.” I am really excited about the possibilities and the fact that the hope of communicating with each other is very strong. I am also excited about the coalescing global community of people who care about the planet who have this kind of perspective of space and time that science brings, and who really want to do whatever they can to alleviate the dangers of long-term climate modification and of the violence and brutality that plagues this world. Yes, I do have a lot of hope, and I feel like even though we may take a few steps back once in awhile, it is a short-term problem that we will ultimately set right again. SKEPTIC: Well, let’s hope you are right. 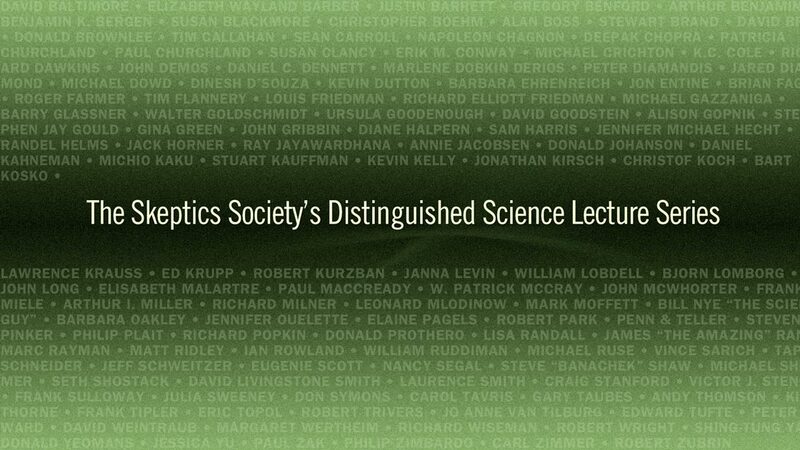 The Skeptics Society is proud to announce that we just booked Dr. Rebecca Newberger Goldstein to speak at our Distinguished Science Lecture Series. STEPHEN HAWKING SAID PHILOSOPHY IS DEAD. Plato would disagree, says the acclaimed philosopher and novelist Rebecca Goldstein, who provides a dazzlingly original plunge into the drama of philosophy, revealing its hidden role in today’s debates on religion, morality, politics, and science. Philosophy is not obsolete, and the ancient questions that Plato asked are still relevant in the age of cosmology and neuroscience, crowd-sourcing and cable news. Imagine that Plato came to life in the 21st century and embarked on a multicity speaking tour. How would he handle the host of a cable news program who denies there can be morality without religion? How would he mediate a debate between a Freudian psychoanalyst and a tiger mom on how to raise the perfect child? How would he answer a neuroscientist who, about to scan Plato’s brain, argues that science has definitively answered the questions of free will and moral agency? What would Plato make of Google, and of the idea that knowledge can be crowd-sourced rather than reasoned out by experts? With a philosopher’s depth and a novelist’s imagination and wit, Goldstein probes the deepest issues confronting us by allowing us to eavesdrop on Plato as he takes on the modern world. Order Plato at the Googleplex from Amazon. HOW MUCH OF OUR FATE is tied to the status of our parents and grandparents? How much does this influence our children? More than we wish to believe. While it has been argued that rigid class structures have eroded in favor of greater social equality, The Son Also Rises proves that movement on the social ladder has changed little over eight centuries. Using a novel technique—tracking family names over generations to measure social mobility across countries and periods—renowned economic historian Gregory Clark reveals that mobility rates are lower than conventionally estimated, do not vary across societies, and are resistant to social policies. The good news is that these patterns are driven by strong inheritance of abilities and lineage does not beget unwarranted advantage. The bad news is that much of our fate is predictable from lineage. Clark argues that since a greater part of our place in the world is predetermined, we must avoid creating winner-take-all societies. Order The Son Also Rises from Amazon. Bill Nye “The Science Guy” wows the audience with wit, humor, and inspiration about the future of science, technology, and education, how he got his start as “the science guy” and what we can all do to “change the world” so that everyone can embrace the wonders of science and reason. Also featured was a very special appearance by James “The Amazing” Randi, who regaled the audience with stories from his forthcoming book, A Magician in the Laboratory, and along the way explained how to test paranormal and pseudoscientific claims, his many challengers who have tried to win the million-dollar challenge offered by the James Randi Educational Foundation, and inspired a new generation of young skeptics in the audience to go out and make a difference by thinking skeptically and critically about all claims. or explore the entire series. INSTRUCTIONS: Click the button above, then click the RENT ONE button on the page that will open in your Internet browser. You will then be asked to login to your Vimeo account (or create a free account). Once you complete your purchase of the video rental, you will then be able to instantly stream the video to your computer, smartphone, or tablet, and watch it for the rental period.